World's first iOS controller with wireless hardware offers hands-free operation and a host of other features in tandem with innovative app; JamUp 2.2 upgrade adds 11 new amp channels, and more functionality! The NAMM Show - Booth #1101 Hall E (January 24-27, 2013) - Positive Grid (http://www.positivegrid.com), the developers of JamUp Pro XT for iOS, is adding AirTurn's (http://airturn.com) wireless BT-105 pedal controllers to their popular guitar and bass amp and effects processor app. The JamUp/AirTurn is the world's first of its kind: an iOS Guitar/Bass Multi-FX system with wireless foot switch hardware. 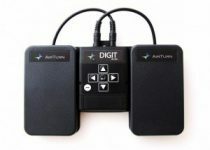 JamUp Pro XT users will be able to use AirTurn's two or four pedal BT-105 Bluetooth controllers to switch between dozens of studio-grade amp and stomp box effects hands-free. 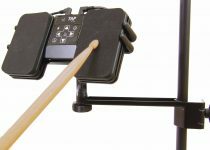 Each AirTurn pedal can be customized within JamUp Pro XT to perform various functions, from toggling amps and effect switches, to moving between presets, controlling Jam Player's iTunes song playback functions, triggering various sampler recording and dubbing options, and even controlling the built-in metronome or tapping out the tempo, wireless and hands-free. The AirTurn BT-105 features a built-in rechargeable battery that provides power for up to 100 hours of continuous use and works with all models of the iPad, as well as with the iPhone 3GS and up and the iPod Touch. In addition to AirTurn's two and four pedal boards which are outfitted with their own ATFS-2 silent pedals, the AirTurn BT-105 can be configured to work with a wide range of momentary normally open (NO) switches, such as the Boss FS-5U and the Boss FS-6 dual foot switch. "The tight integration of JamUp and AirTurn brings mobile guitar processors to a new level," remarked Calvin Abel, Positive Grid Product Manager. "The ability to control a professional guitar and bass processor, on a mobile device via Bluetooth, is just astonishing." "We're really excited about this collaboration with Positive Grid," notes AirTurn co-founder Hugh Sung. 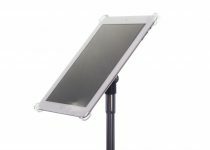 "While our products have been initially focused on providing hands-free page turning solutions for reading digital sheet music, we knew that there was a whole lot more that could be done to extend the possibilities of hands free control for iPad musicians. JamUp Pro XT demonstrates this brilliantly. Between digital sheet music on iPads replacing heavy, bulky binders of chord charts and lyrics, and now apps like JamUp Pro XT working with AirTurn to replace hundreds of pounds of cumbersome amps, stomp boxes and cables, the musician's gig bag just got a whole lot lighter!" JamUp continues to push the boundary to be the premiere powerhouse amp and effects app on iOS with its newest software revision. JamUp 2.2 adds 11 new amp channels, and the newly developed multi-effects machine will allow users to run multiple stompboxes, modulation and delay effects at the same time. JamUp also adds BPM sync for all delay effects, expanded MIDI controls and supports Audiobus as input and output as well as the effect slot. The AirTurn BT-105 with two ATFS-2 Pedals and Pedal board retails for $119.95; Four pedal AirTurn BT-105 with ATFS-2 pedals retails for $159. Download JamUp XT for free at the iTunes App Store. 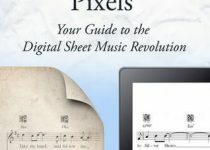 About Positive Grid: Positive Grid (http://www.positivegrid.com) is a developer of music software for Apple iOS. The three musicians who founded the company got their start modeling tube amplifiers during a grad school project in 2007. Separately, they've worked on projects for companies like Apple, Google, iZotope, and Euphonix. They launched the first version of JamUp Pro, their flagship amp-and-effects modeling app, in 2011. About AirTurn, Inc.: Founded in 2008 in Boulder, CO, AirTurn (http://airturn.com) creates and markets technologies to enhance the study, practice and performance of music. Prior to co-founding AirTurn, Hugh Sung was a classically-trained concert pianist, having served on the faculty of The Curtis Institute of Music and recording over a dozen albums for Sony Classical, Avie, and other labels.